Minimum quantity for "357 Super Magnum Stimulant 24 pk, 3Ct each" is 1. Minimum quantity for "Ginkgo Biloba Energy Now - 24 pk" is 1. 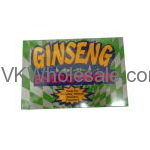 Minimum quantity for "Ginseng Energy Now - 24 pk" is 1. Minimum quantity for "Mini Thin 25/50 EF - Energy Booster - 12 Pk" is 1. Minimum quantity for "Premium Red Panax Ginseng Extract - 30 Ct" is 1. 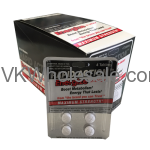 Minimum quantity for "Rapid Action Energize 2-Way Energy Boost Metabolism 4 x 24 PK" is 1. 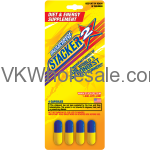 Minimum quantity for "Stacker 2 - 4 Capsules - 24 PK" is 1. Minimum quantity for "Stacker 2 Swarm (4 Capsules) - 24 PK" is 1. Minimum quantity for "Stacker 2 XPLC (4 Capsules) - 24 PK" is 1. 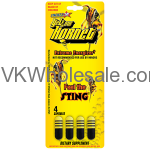 Minimum quantity for "Stacker 2 Yellow Hornet - 4 Capsules - 24 PK" is 1. 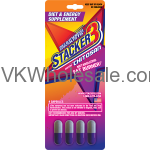 Minimum quantity for "Stacker 3 with Chitosan - 4 Capsules 24 PK" is 1. 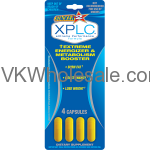 Minimum quantity for "Stacker 3 XPLC (4 Capsules) - 24 PK" is 1.